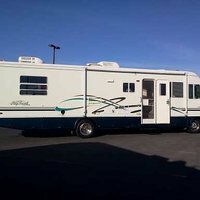 My wife and I originally planned on renting an RV for a planned vacation trip from Las Vegas, NV to Roundup, MT to visit family. 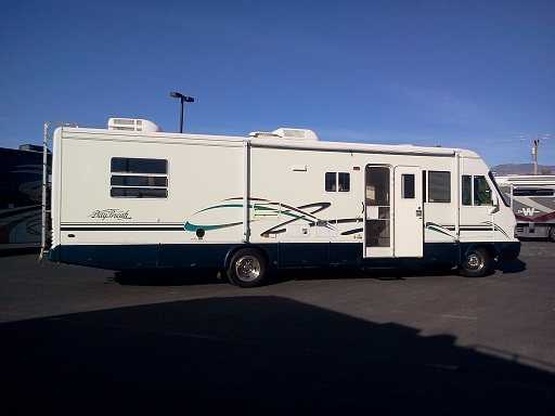 After looking at the cost to rent we decided to look at used RVs and found our dream RV at what we believe is a good price. We went on several short trips before our vacation to Montana and had a great time. The RV did great, but the vacation didn't quite go as planned. Half way to Montana we saw on the news that a fire had broken out in the area south of Roundup and was spreading quickly towards my mothers home. We hurried up to Montana and my mother stayed with us in the RV until she was able to go back home after the mandatory evacuation was lifted. While her home was mostly spared, my younger brother's home across the road from hers was completely destroyed and he lost everything. We used some of the extra money we budgeted for the trip to help my mom and brother get necessities including a new fresh water tank. While it wasn't the vacation we planned, I'm glad we were there when we were needed and able to help. In my mind, our RV has more than paid for itself and we still plan to get much more use out of it. Network Admin, PC Tech and all around Handyman.